Comes with weapons bench, Zulu shield, monkey with cage, and a (future Batsignal) searchlight. 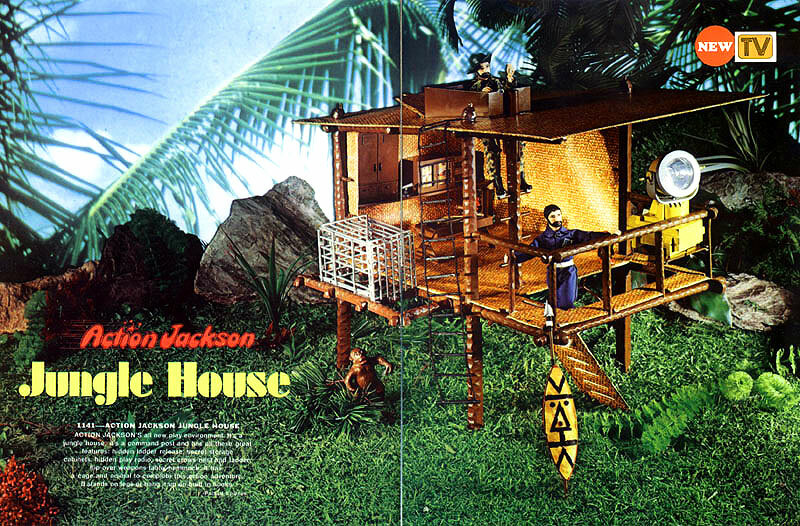 Of the Action Jackson material produced, this catalog features all but the Lost Continent Playset (the original Batcave/POTA Village) and L'Amico Jackson, the AJ friend sold only in Italy in a red jumpsuit. Some additional items were made by Irwin and other companies. A full AJ Gallery will be opening in the next 30 days, so stop by again!